On November 8, LK Advani will start the day by "serving and sharing" breakfast with 90 visually challenged children. Many top BJP leaders are expected to visit LK Advani's residence to greet him. 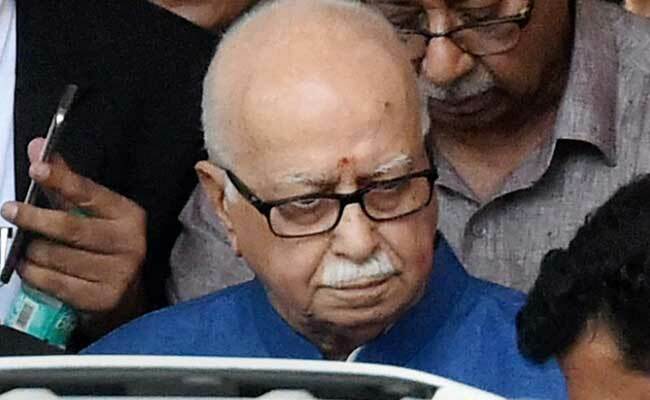 New Delhi: Bharatiya Janata Party's veteran leader L K Advani, who will turn 90 on Wednesday, will celebrate his birthday with visually challenged children at his residence in New Delhi. On November 8, he will start the day by "serving and sharing" breakfast with 90 visually challenged children, the BJP said in a statement today. Many top BJP leaders, including Prime Minister Narendra Modi and party president Amit Shah, are expected to visit Mr Advani's residence to greet him. In 2014, he was included in the Marg Darshak Mandal of the Bharatiya Janata Party.